So you want to create a website for your business or organization? There are several crucial elements to consider when trying to decide upon a web hosting company to use for your business or organization. You want a company that is stable, cost effective, lots of features and of course good customer service. Here are the top ten factors to keep in mind when you go out hunting for a quality company to host your website. Web hosting comes with a variety of services which of course means different prices, including some that might be free of any charge at all. At a glance free website hosting might sound inviting, however, it’s never a wise idea for any business that wants to give a professional impression for their website. Using a free web hosting service will often result in long load times for your site pages, bandwidth, limited disk space, very slow support when you need help, and generally they will place advertisements placed on your website to make up for lack of web hosting fee. There are some web hosting companies that are far more expensive when compared to their competitors. A good idea is to gather together several hosting services then to evaluate them to figure out which will supply you with the the best features and services at the fairest cost. 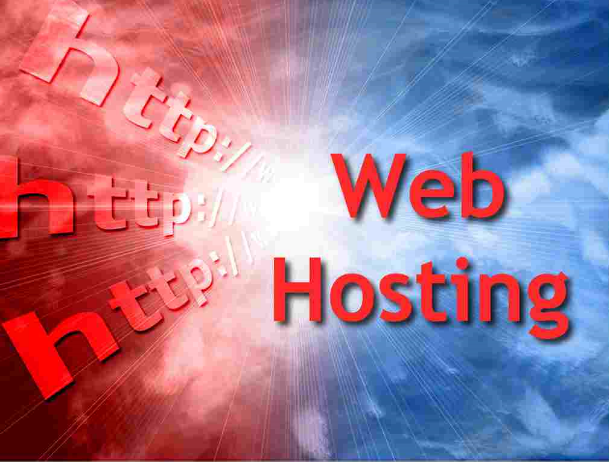 Everyone at some point ends up needing support from their web hosting provider. Whether you need assistance setting something up or dealing with an actual problem. If a web hosting company has limited technical support hours or if their help service is only available through e-mail or online web form, it might be hard to get the help you need. If you do use online support, how long will it take for you to receive a reply? It is a good idea to try and call a potential web hosting company before registering for their service. This way you can see if it is hard to get an actual person who can assist you with your problems. The stability and speed of your web host is an important factor to consider. Most web hosts will at some point experience some problems. Your website does no good when it is not operating, and it can even leave a potential client with a poor impression of your business. A truly stable host should maintain an average of 99.5% uptime. It is a good idea to look for a hosting company that provides statistics on their downtime, However, most trustworthy statistics will be provided by an independent 3rd party. Every hosting service will restrict you to a set amount of disk space and bandwidth based on what type of hosting package you select when you sign up. Bandwidth also referred to as “Data Transfer” or “Traffic” is the amount of bytes transferred from your site to visitors when they browse your site. A host that offers good bandwidth is important as it determines how much traffic your site can handle. To give you an idea the average traffic requirements of a website, most new sites use less than 3 GB of bandwidth per month, a large business or data driven site might use a bit more. Some hosts may have boastful advertisements claiming “unlimited bandwidth”. Beware of this as bandwidth usage costs your host money and even if they claim you have unlimited use, make sure to read the fine print because more often than not there will be a hidden clause where an actual bandwidth amount is listed and if you exceed it you will be end up being charged. Disk space will determine the maximum size of your website. It is important to remember that just as your business grows, so will your website. Therefore it is an important consideration to allow enough space for future additions to your site. Don’t forget that some file types such as audio, video, and motion graphics will take up much more space than plain html files. Once again, keep in mind that visitors listening to audio and watching any video files you may have will use a good amount of bandwidth. There is a very liberal extent of space and bandwidth provided by various hosting services, and most companies will give you a variety to select from. Once you have your own website, you will likely want to be able to send e-mail from your own domain, such as you@yourdomain.com. Does the host provide this service? The number of e-mail addresses allowed to your hosting account can vary significantly from one web host to the next. You will want to give thought to the amount of e-mail addresses your organization will need and be certain that the hosting plan can provide that. This an important factor because using a free e-mail account when writing a business email looks unprofessional and most clients will find it hard to take you seriously. Another helpful e-mail features you should check for are auto-responders. This is where you set an email address to automatically reply to the sender with a pre-written message. Will you be able to access your mail with your e-mail software program? Will all incoming mail be forwarded to your current e-mail address? Be sure to ask questions, a good host will want your business and be happy to answer them. This is a web application that is installed by your host that has an abundance of features which allow you to do things like add, delete, and manage your email accounts, and change passwords for your account from your web browser. Cpanel has become a very standard feature these days and is helpful as you can do basic account maintenance without having to go through the trouble of contacting customer support. Using a script of software tracker to monitor the visitors to your website is an important factor to having a thriving website. Most web hosting services will supply you with a statistics program. If not, there are several free open source programs (such as Analog, AwStats & Webalizer) that you can use. A statistics program should at the very least offer: the number of visitors per page, the length of time that visitors were on your website, which site referred the majority of traffic to your site (search engines and incoming links), what keyword terms visitors used to find your website, and which pages people exited your site from. A good statistics software will frequently be able to catalog information by day, week, month, or year. This type of data is crucial if you wish to learn about what type of people are visiting your web site. In addition to the fundamentals of the web hosting company, you will also get other bells & whistles that will add value to the service. Every hosting company will have its own unique features, it is beneficial to run your own comparisons and make sure that you are getting the features that are best for you. A few special features may include: E-mail forwarding, auto responders, mailing lists, forums and blogs. In addition, you will want to make sure the host is running the most up to date software on their servers, PHP, MySQL for example are crucial for most dynamic and marketing type websites. Be certain to consult with a web design professional in advance to find out what features will be critical for your site’s development, maintenance and future growth. Some hosting services allow you to host multiple websites (domains) on one account for a set price. This is a great feature and allows you to set up additional sites within your domain such as service.yourdomain.com. If your host does not offer sub-domains in your hosting package adding additional websites later can end up being costly. Creating extra websites will help attract additional traffic to your domain and can also assist with promoting special products or services. What do other people say about their service? Always research and check the reviews supplied by the web host and ask any friends or associates that use the service. There are many third party websites who hold reviews for web hosting companies including several that include comments from current/former customers. Two of my preferred review sites are Web hosting jury and Web hosting unleashed. These type of testimonials are important to check out as they provide unbiased opinions from professionals as well as potential customers like yourself. Dreamcore Website Designs can assist your company with signing up for a stable Website Host for your company or organization. Contact us today for a free quote.